Top it off with style and spirit! Neff’s Mid Profile Caps, Adjustable Visors and Pukka Knit Beanies and Headbands are the perfect accessories for students, staff and boosters. Our mid profile, flex fit, 6-panel constructed caps can be customized from the eyelets down to the stitching. Our Mesh Flex Fit Cap, Cotton-Spandex Flex Fit Cap and Wool/Spandex Flex Fit Cap come in a variety of school colors, feature spandex sweatbands and pre-curved bills, and can be personalized with your choice of custom embroidery to showcase school names, mascots, logos or sports. Our Pro Mesh Adjustable Visor offers a convenient adjustable Velcro closure. Our throwback knits scream school spirit with colorful poms, and your choice of block text (maximum 10 characters), stripe design and knit colors? With our collection of Pukka Knit Beanies and Headbands the options are endless. Choose from Pukka knit beanies with raised or flat front embroidery to showcase school mascots, knit-in block text to proudly display school pride, or festive colored stripes and poms in your own school colors. Don't see what you're looking for? 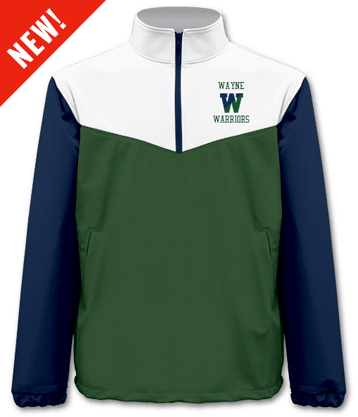 Take a look at our full collection of school apparel!